dairy free and gluten free FLAXMILK: Our flaxmilk is a smooth creamy and delicious dairy free and gluten free milk substitute made from flax seeds. Plus it’s a great source of plant based protein. Enjoy over cereal in a smoothie or as a snackon the go. POUR ON THE GOODNESS: We love the tiny flax seed because it makes our flaxmilk mighty nutritious with calcium vitamin D 10g plant protein & 1500mg omega-3 healthy fats which our bodies need but don’t create naturally. Plus it’s low in sugar only 15g! 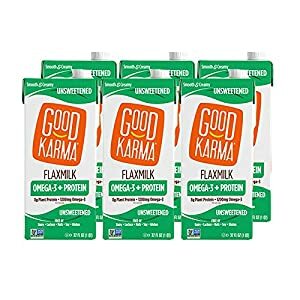 DAIRY-FREE FOR THE WHOLE FAMILY: Good Karma makes allergen-friendly healthy eating convenient & fun with flaxmilk that is free from dairy nuts & soy. Family sized cartons single-serve bottles & lunchbox cartons come in unsweetened chocolate & vanilla. 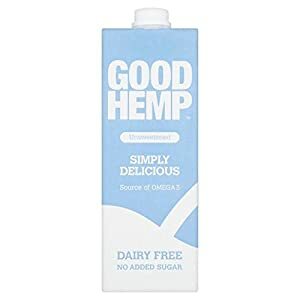 dairy free and gluten free FLAXMILK: Our flaxmilk is a smooth creamy and delicious dairy free and gluten free milk substitute made from flax seeds. Plus it’s a great source of plant based protein. Enjoy over cereal in a smoothie or as a snack on the go. 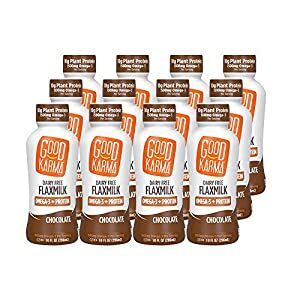 POUR ON THE GOODNESS: We love the tiny flax seed because it makes our flaxmilk mighty nutritious with calcium vitamin D 8g plant protein & 1200mg omega-3 healthy fats which our bodies need but don’t create naturally. 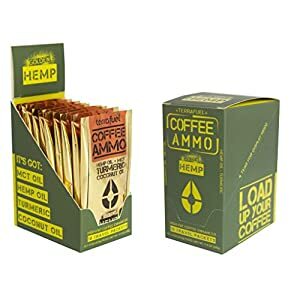 Plus there’s 0g sugar and 70 cal.